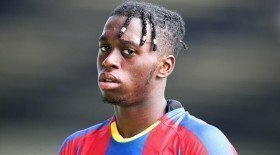 The 21-year-old only established himself in the Crystal Palace ranks last term and he has since become a regular with 28 starts for the Eagles in the Premier League alone. According to The Mirror, his glowing form has captured attention of the likes of Chelsea and Manchester City and the duo could be prepared to fight Manchester City for his services. United are currently considering a long-term replacement for captain Antonio Valencia despite possessing the services of Diogo Dalot in their ranks. Chelsea, meanwhile, are unhappy with the showing of back-up right-back Davide Zappacosta and they are prepared to sanction his departure before recruiting a home-grown player for the position. Regardless of this, the Eagles don't have any rush to sanction the defender's sale, given the Englishman has more than three years remaining on his existing deal with the club.